Observance of Fathers’ Day takes many forms, and I was pleased to participate in a discussion of “fathering” on Huffpost live. I was part of a panel with four stay-at-home fathers who were primary caregivers for their children. Their comments were most interesting and provided much food for thought. Particularly fascinating was to hear the comments and complaints that have traditionally been associated with the plight of stay-at-home moms. The fathers bristled at the question about what they do all day – especially when the children are at school. One father talked about sheets in the dryer waiting to be folded, and food in the refrigerator waiting to be prepared for supper. The general attitude was that anyone asking such a question has no idea what it is like to take care of children and run a household. 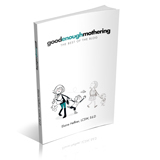 Mothers have long had to deal with that attitude that fathers are now confronting. Another familiar complaint was hearing negative comments from others about how they were caring for their children. One of the challenges for fathers has been developing a sense of their own competence, since, as I said in the discussion, mothering has always been considered the gold standard. On the other hand, new mothers deal with that same feeling of incompetence and having to listen to unsolicited criticism and advice from others – often strangers in the park or supermarket. Despite the idealization of motherhood in the abstract, mothers themselves come in for a lot of criticism. Fathers are also dealing with a lack of acceptance of men as primary caregivers. These fathers spoke of the demasculization in the eyes of others that appears to be associated with their new roles. It is as though being nurturing makes them feminine. This again, seems to be a consequence of defining nurture in terms of women, breasts and softness. It is interesting that as women moved into the workplace they tried – and are still trying – to be more like men. Initially, they thought they had to wear suits and ties in order not to be feminine. Now they are encouraged to “lean in”, and become more self-assertive. And now that men are moving into what were formerly female roles, they are not only assumed to be more feminine, but are encouraged to become mothers, rather than fathers. In a recent article, Stephanie Coontz writes that “…jobs traditionally held by females are paid less even when they involve equal or more skills and training than traditionally male jobs. Both men and women still doubt women’s capabilities.” This inequality does not reflect women’s capabilities, but is a result of the traditional association of women with work that is not respected or thought highly of – namely childcare and homemaking. Men are now experiencing this disparagement of the role they increasingly are occupying. They are assumed to be less competent and/or less masculine. The men on the panel agreed that child-rearing is the most difficult and important job of all. One would hope that the higher value assigned to men would raise the value of child care now that they are doing it. It is disheartening to find the opposite happening: instead of increasing the value of child-care, at least according to this panel it is devaluing the men who fill this role. They are describing feelings and experiences long familiar to women. One issue raised, is that of territoriality – the need for mothers to give some space to fathers in the parenting role. It is true that mothers may be experiencing their own difficulties in the exchange of roles taking place. Mothers and babies start out with a strong bond – especially if mothers nurse. Then, despite initial anxieties, mothers, as well as others (including fathers), consider themselves the experts. Mothers need to accept that fathers may do things differently than they do. That doesn’t mean that the way father does it is not as good – only that it is different. At the same time, however, an important point made related to the need to think in terms of parents – rather than in terms of either mothers or fathers. The ability for men and women to function together as parents is indeed, one of the most important challenges in raising children. Hopefully, in moving toward the elimination of traditional gender roles we will not eliminate gender differences. Differences between men and women emerge in the way they respond to children as well as in other areas of behavior. Children are experts at penetrating the strengths and weaknesses of each parent, and are well known to utilize this knowledge for the achievement of their own wishes and desires. That may be fine at times. But parents’ success in achieving their goals requires that they respect and support each other’s ideas, discussing any differences they have privately so that they can present a clear and united response to their children. The added benefit to the children is that in the course of the process of reaching parental agreement, extremes on the part of either parent are mitigated and usually a better decision is the outcome. The most moving idea expressed by these fathers was the meaning they have found in the relationships they have with their children since becoming primary caregivers. Perhaps they can help emphasize this meaning in the much discussed question of work/family balance. Previous Previous post: What Does Balance Mean? Next Next post: Sibling Bullying?